2016 has been an undoubtedly impressive year commercially for movies with comic book origins, even if critic and fan reception has often differed wildly over what constitutes a “good” or “bad” flick. Whatever your opinion though, there’s no denying that comic book movies are big business, so it should come as absolutely no surprise to anyone that 2017 is set to continue that trend, featuring at least seven extremely high profile cinematic releases. So, to keep you in the loop, we’re going to break down what you should be looking out for over the first half of next year. WHAT’S IT ABOUT? – While the storyline (or indeed the title) still hasn’t been officially confirmed, it seems all but guaranteed at this point that Hugh Jackman’s final appearance as Wolverine is going to be based – at least partially – on Mark Millar and Steve McNiven’s critically acclaimed “Old Man Logan” Marvel Comics series. 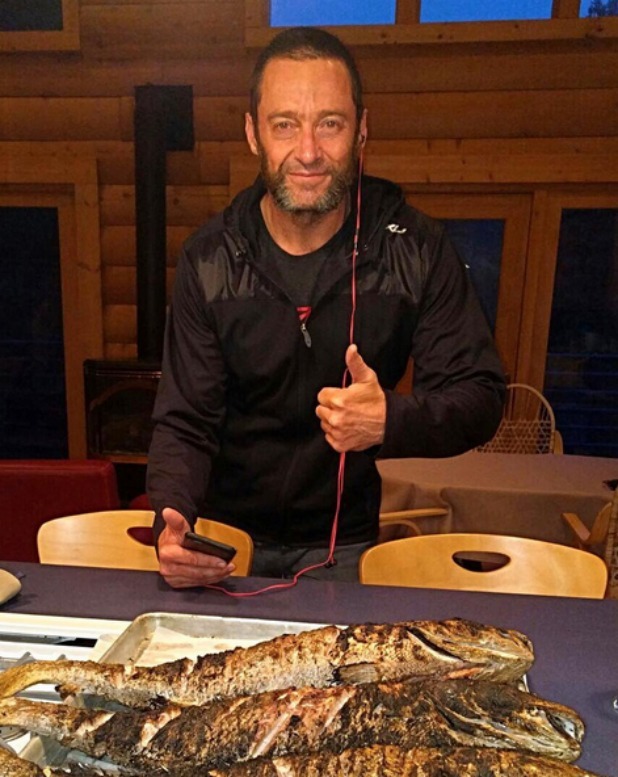 Jackman’s recent Instagram post (above) certainly didn’t hurt this theory, with the actor posting a picture showing him looking a lot more like an ‘old man’, prompting a deluge of concerned website, blog and social media posts about how father time had apparently caught up with the hunky Aussie. Brilliant stuff. WHO’S IN IT? – Joining Jackman in the movie will be Patrick Stewart, reprising his role as Charles Xavier, Elizabeth Rodriguez (Orange is the New Black, Fear the Walking Dead), Boyd Holbrook (Gone Girl), Stephen Merchant (The Office), Richard E. Grant and Eriq La Salle (ER). Quite what roles these actors will be playing is still fairly sketchy for the time being, but expect some sort of clarification and official announcement in the near future, especially with around six months to go until it hits cinemas. WHY SHOULD I GO AND SEE IT? – Well, it it’s anything like its assumed comic book inspiration, this could turn out to be by far the best Wolverine solo movie so far. Which perhaps sounds like a bit of a backhanded compliment, but there’s no denying that – for all the flaws of the previous movies – Jackman is pretty damn awesome as the Adamantium-clawed one, and providing that director James Mangold can learn from the mistakes of “The Wolverine” and keep the CGI Samurai shenanigans to a bare minimum, this could end up being a truly fitting send-off for the character. WHAT’S IT ABOUT? – James Gunn returns to direct the eagerly anticipated Guardians Sequel, with the team-slash-family trying their best to keep things together as they travel the cosmos trying to unravel the mysteries of Peter Quill’s true parentage. Lolz, feels and a booming, nostalgia-laden soundtrack are all but guaranteed. WHO’S IN IT? 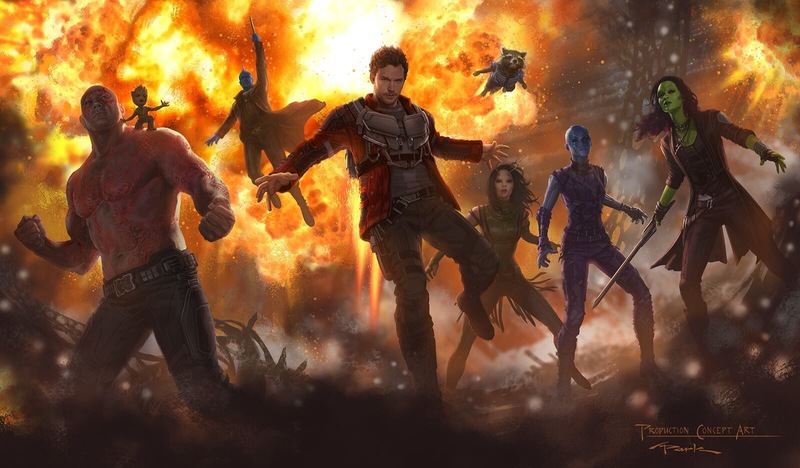 – All the original Guardians (Chris Pratt, Zoe Saldana, Vin Diesel, Bradley Cooper and Dave Bautista) are set to return, alongside intriguing new additions like Sylvester Stallone in an unnamed role, Pom Klementieff as Mantis, and – perhaps most interestingly – Kurt Russell as “Ego, the Living Planet”. Yeah, you heard us. WHY SHOULD I GO AND SEE IT? – Well, it’s a matter of personal taste, but for our money, the first Guardians movie definitely deserves its place among Marvel Studios all-time best. Director James Gunn perfectly captured the zany, energetic and surprisingly moving team dynamic, and while the plot itself was a little sketchy at times (with yet another paper-thin Marvel villain), you’re unlikely to get a more fun two hours of cinematic nonsense for your money in 2017. WHAT’S IT ABOUT? This looks set to be a bit of a Wonder Woman origin story, with Diana leaving her isolated island home following the unexpected arrival of a man, Steve Trevor, and taking the first steps on her journey to becoming the hero who – let’s be honest – pretty much stole the show in Dawn of Justice. It’s also being earmarked as the beginning of a trilogy of Wonder Woman movies, and while the phase “trying walk before you can crawl” may apply, all early indications are that this could be the one to shift the critical perspective of Warner Bros’ DC Cinematic Universe output. WHO’S IN IT? – Well, Gal Gadot reprises her Dawn of Justice role as Diana Prince, obviously, alongside Chris Pine as Steve Trevor, Connie Nielsen and Queen Hippolyta and Robin Wright as General Antiope. WHY SHOULD I GO AND SEE IT? – In spite of the initial scepticism surrounding the casting of Gadot in the role, Wonder Woman was widely lauded as one of the main saving graces of Batman V Superman: Dawn of Justice, and with an entire movie devoted to the character, fleshing out her backstory and motivations, there’s definitely a huge amount of potential here. WHAT’S IT ABOUT? – After coming out of nowhere to deliver a critically acclaimed and frankly awesome spy parody complete with humour, action and oh-so-glorious violence, Eggsy is back as he journeys to the United States to join forces with Statesman, the US equivalent of Kingsman. WHO’S IN IT? – Taron Egerton, Mark Strong and Sophie Cookson return as Eggsy, Merlin and Roxy respectively, being joined by Julianne Moore as villain Poppy, Halle Berry and Channing Tatum as Statesman Agents, and – interestingly – Colin Firth as the *spoiler* deceased Harry Hart, Eggsy’s former mentor. WHY SHOULD I GO AND SEE IT? – The first film was one of the ‘under the radar’ success stories of 2015, and with the bulk of the cast – alongside director Matthew Vaughn – returning for this one, there’s no real reason to think the sequel will fail to deliver the goods again (except, y’know, the fact that sequels tend not to be all that great in general).